Event Preparation: It all started with awaiting the dates for this year’s Rider Mania. After a long wait the dates were released to be on Nov 20th, 21st and 22nd at Vagator beach, Hilltop. The hype around the event was everywhere online and offline, every RE enthusiast talking about it. Royal Enfield clubs gearing up from all over India to make their presence felt at this biking festival. With 5000+ members last year, this year the expectations were more. Pre Rider Mania rides and events were organised in most of the cities for the riders to get to know each other before the event. People changing their facebook profile pictures ‘Going to RM’ and what not. We were gearing up too with our small group of ten riders, briefings done, pre ride checkups done, awaiting the big day 19th where we need to cover 650 km from Bangalore in the rains to be at Rider Mania. Ride To Goa: Most of us hardly sleep the night before any long ride, same was the case this time. 4:00 AM It was dark and cold, we assembled at Hebbal flyover, against the usual Tumkur road toll junction, as there would be many a number of groups starting from the later point. High in spirits we set our ride, crossed Tumkur around 60 km in no time. We do normally have a second briefing during the first pit stop for the new riders, briefing on the ride so far. Shoulder riding, lack of hand signals, maintaining sufficient distances between the bikes, formations etc touch based again for the riders new to group riding. About to start again and yes, here we go.. The first breakdown, a classy electrical issue on a thunderbird. So far have seen only thunderbirds every time prone with electrical issues. We had to wait till some battery shops around open up to replace the drained up battery, and were just seeing all the other riders and groups passing by. 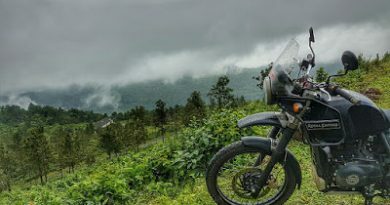 10:00 AM, Starting the ride again, with the never ending rains and also the breakdown, we have decided to ride in the conventional Bangalore-Hubli-Belgaum-Goa route against the scenic interior route. Maintaining speeds of 100-110 kph the whole group was just ripping on the highways maintaining perfect lane discipline. On average of 90 kph we have reached the A1 Punjabi dhaba near Hubli circlde in no time. Having just parked our bikes, we hear some squeaking noise around, it was a puppy stuck nearby in between the drain and the rocks which fell over it. With BG taking the lead and many helping hands coming in we managed to rescue and give a second life to the puppy by breaking the stones on top with great difficulty. It was an accomplishment by the team and others out there after dirtying hands with a struggle of more than an hour. Chorla Ghat: By the time we have crossed Belgaum streets and the traffic it was already dark and we are yet to enter the notorious Chorla Ghats. One of the beautiful ghat roads to ride in, except the fast moving cars and heavy vehicles. The steep turns were always a threat and when we ride on we see couple of recent accident vehicles by the road side. The ghats were so tempting for anyone to push speed limits for the extra bit of adrenalin. The Two Crashes: Few riders split from the group and have decided to ride ahead, with a random person on his first group ride leading the pack. Riding long distances and the fatigue which builds in, even a fraction of misjudgement leads to a disaster. What I did not want to see, has just happened, a rider losses control and straight into the road side ditch some six – seven feet deep. Fortunately nothing major apart from a finger dislocation and bike front portion damages. A major disaster was averted only because of the full face helmet, hand gloves, knee and elbow guards. Thanks to the car with us, we could make arrangements for the rider to be transported in the car to the place of stay, while our back up technician rode his bike all the way to Goa. Similar crash again on our return journey in the same area, this time falling into a ditch the other side of the road. 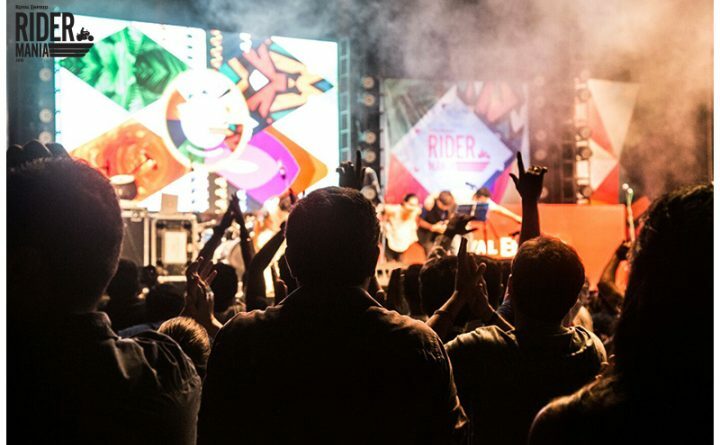 The Rider Mania: Thousands of riders from all over the country flocked into the venue to celebrate the love for Royal Enfield. It was about meeting people with similar passions and interest along with the camaraderie of fellow riders. The area was buzzing with thunderous noise everywhere, with each group making its entry into the venue. Day 1: Event registrations, Trails and training sessions, and the LDTF. Long distance travellers forum, an interesting platform to hear from some great people who have achieved some big miles on the records. 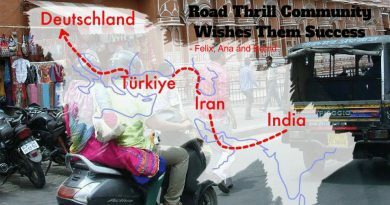 Good to see our good friends Candida with 15,000 Km solo riding across India and Mani Manju with 40,000 km of longest journey in a single country tag among the speakers. Accessories and merchandise Stalls, beverages and food courts were must a visit to everyone out there. Day 2: Qualifying rounds for the 350cc and 500cc categories, assembly wars, slow race, carry your bike, beer drinking captured the crowds the complete day. 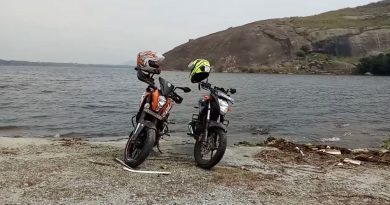 Few of our friends Aravind from AIM motors, the only continental GT participating in the off road track and Kumaraswamy, with months of preparation, however was not allowed because of the Moto GP tyres. The Music Lineup each evening with Indian Ocean, Nucleva, Raghu Dixit project and Dualist inquiry, some of the best music, wooed the audience to their tunes. Day 3: Arm wrestling, maze chase, finals of 350cc and 500cc, ladies dirt track, custom bikes showcase and many more were a delight to the eyes. Few Puddles of Rider Mania: Did the continuous rains of Chennai and Bangalore effect the numbers for the event? The number of participants from Bangalore was lesser compared to the previous years. Everyday some minor scuffles and roughs of the bouncers and organisers with the participants. Is it that things to be handled in a more sensible way either sides? Participants were flocking every place all around North Goa except the event venue. After day 1 registrations many a riders hardly visited the venue again except the final day music line up. Was the crowd engagement not adequate? May be its just my perspective which might also be wrong. Whatever the reasons, Music Mates and Motorcycles were celebrated for three complete days. It was almost time to bid adieu to everyone and carry home tons of memories from this memorable event organised by Royal Enfield. Return adventure Ride: With hardly three to four hours sleep the on all the previous days, it was a big challenge to cover 650 km back to Bangalore on time. We had to visit this place, the only hospital in Jamboti in between the chorla ghats, which was very interesting, that the doctor says he works over time to attend the crashes in this time of the year, mostly attending the Rider Mania participants. With two crashed bikes having no headlights riding through the never stopping rains, was a real adventure. I was riding with a pillion for all the distance Bangalore to Goa, no sleep, no side mirrors, a twisted handle bar and hard hitting rains. We managed to hit the city only by around 2:00 AM the next day. 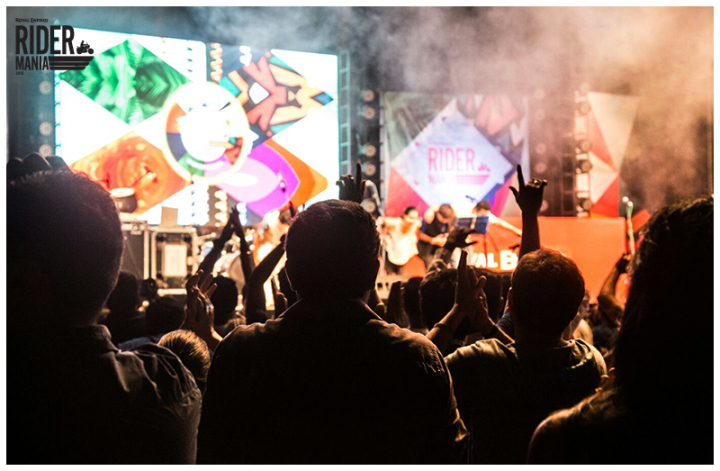 We have been at the Royal Enfield Rider Mania 2015!